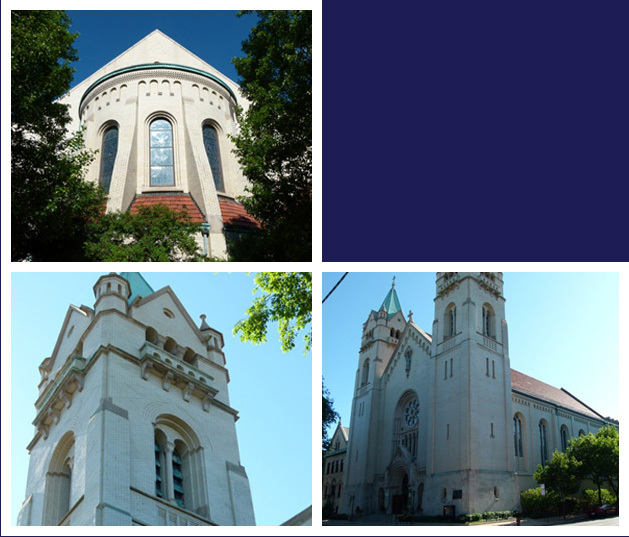 Building Technology Consultants, Inc. (BTC) has been awarded a contract to evaluate the condition of the exterior masonry of St. Josaphat Church located in the Lincoln Park neighborhood of Chicago, Illinois. St. Josaphat Church, originally constructed approximately 100 years ago, is a solid masonry structure with ornate exterior features. The building includes two bell towers at its west end, a main sanctuary with a clay tile steep roofing system in the center portions, and semi-circular structure with masonry buttresses at its east end. The bell towers have a steep copper roofing system overlaying a wood structure. There are also intermediate floors within the bell towers that are constructed with wood framing. BTC's scope of work to evaluate the overall condition of the exterior masonry includes a field investigation (visual review, close-up review, and exploratory openings), laboratory testing (if necessary), analysis, and a report with recommendations for remedial work. Joshua Summers, BTC's Principal Structural Engineer, stated that "we greatly appreciate the opportunity to work with the Archdiocese of Chicago on such a prominent religious facility. We believe that our expertise and experience in solving building envelope and structural problems for religious buildings throughout the Chicago area will allow us to develop innovative repair options for the St. Josaphat Parish community."